As a gift for my youngest sister's 18th birthday, we got tickets to see Rent on its Broadway Tour. 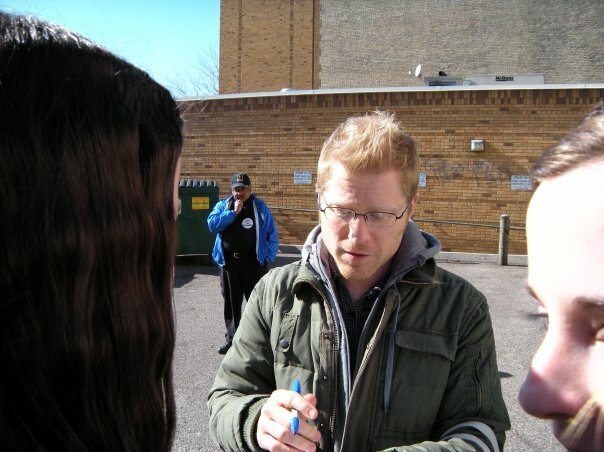 To make it even better, two members of the original cast were touring with the show: Adam Pascal (Roger) and Anthony Rapp (Mark)! The show was amazing, and we had a fun "girls' day out," just my mom, myself, and my two sisters. After the show, some of the cast was outside behind the theater signing autographs, so we nudged our way up to the front. A few of the minor actors came by, and then we saw Anthony coming down the line! Needless to say, we were very excited and told him how great he was in the show! He wouldn't stop and take photos with anyone, so the first photo is just him signing. 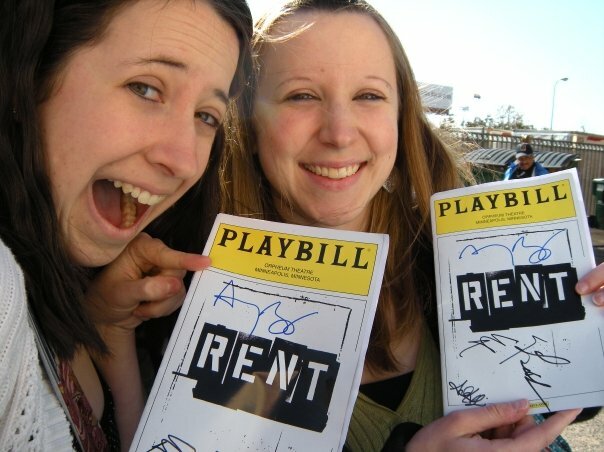 The second photo is my youngest sister and I with our signed playbills.